The girls of Winterburn Lodge are not looking forward to another dreary term at their London boarding school. So they are rather excited when it is announced that, due to an issue with the drains which necessitates extensive maintenance work in the school building, the school will be moving to a country manor house for the summer term. As well as providing lots of opportunities for outdoor games and pursuits, the manor naturally comes with various associated legends and mysteries; in particular, a horde of hidden treasure which is rumoured to be somewhere within the grounds. Lindsay and Cicely, the two heroines, determine to find this treasure, which leads to some adventures - and misadventures. Throw in a few half-term excursions that don't go according to plan, and you get a very action packed book! I quite enjoyed this book. It was entertaining and there was a lot going on. 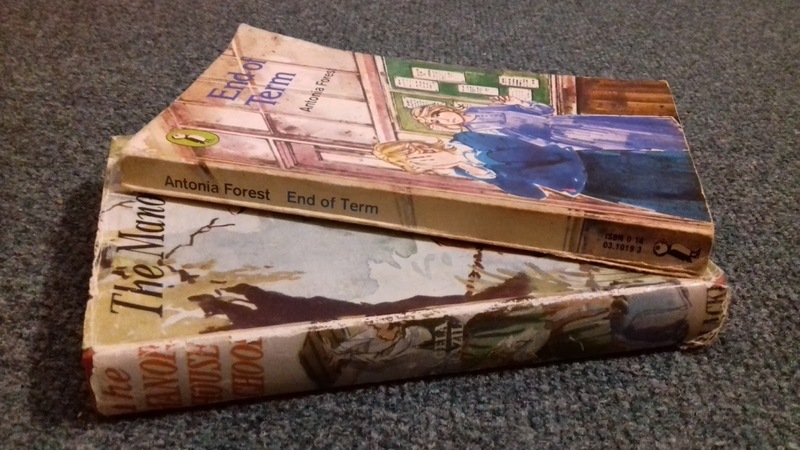 It seems to be aimed at a younger age group than most of Angela Brazil's books; the main characters were eleven and twelve and it read more as an adventure story than a school story, some parts of which stretched credulity rather a little. But it was a fun read. It's available on Project Gutenberg. The fourth book in Antonia Forest's series about the Marlow family, although the second I've read. Like the first book, Autumn Term, this is mostly about twins Nicola and Lawrie, the youngest in a family of eight children, and their school friends. Unlike The Manor House School, this is a fairly realistic boarding school story, with most of the drama surrounding the end of term Christmas play. Lawrie is desperate to play the Shepherd Boy, while Nicola's friend Miranda, who is Jewish, feels left out at not being allowed to participate. Meanwhile Nicola has hopes of getting into the junior netball team. Things don't go entirely according to plan, but will it all work out in the end? This was a really good book. I didn't enjoy Autumn Term as much as I had been expecting to, but I found this a much better read. The characterisation is very strong and there is a strong emphasis on the relationships between the characters - both within school and between the Marlows in the home scenes - which is very well done and which I liked a lot. Despite being a more realistic story, there's still a fair bit going on and the climax is fairly dramatic, which made it a gripping read towards the end. I definitely really liked this book and will look forward to reading more about the Marlow family. Unfortunately the books can be quite hard to track down, but I do have one more, The Attic Term, sitting on my shelf so I expect I'll be reading that quite soon. 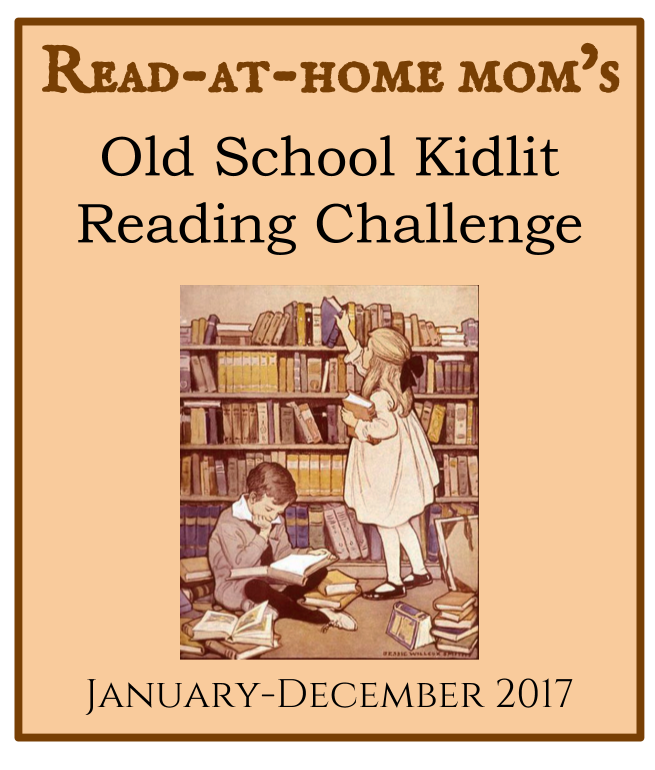 I'm linking up with the Old School Kidlit reading challenge, since this month's theme was school stories. I've been rather sporadic about participating so far, but since next month's theme is mysteries, which is another of my favourite genres, I'll hopefully be getting back on track. I always love school books! 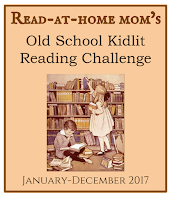 Thanks for participating in Old School Kidlit when you can! Both of these look interesting. I might check out The Manor House School since it's on Project Gutenberg, and I never seem to be able to find good boarding school books. Angela Brazil wrote quite a lot of books, although some are much better than others. This was quite a fun one; I also enjoyed For the Sake of the School and The Nicest Girl in the School, although they probably feel a little more dated. 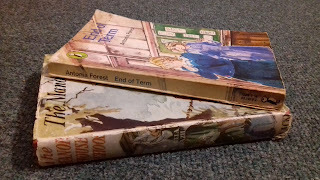 If you haven't come across them, I'd also recommend the Chalet School books - there are loads of them and they can be difficult to get hold of, but Open Library has the first few (although the waiting lists can get quite long).